Diervilla sessilifolia ‘LPDC Podaras’ | J.C. Bakker & Sons Ltd. 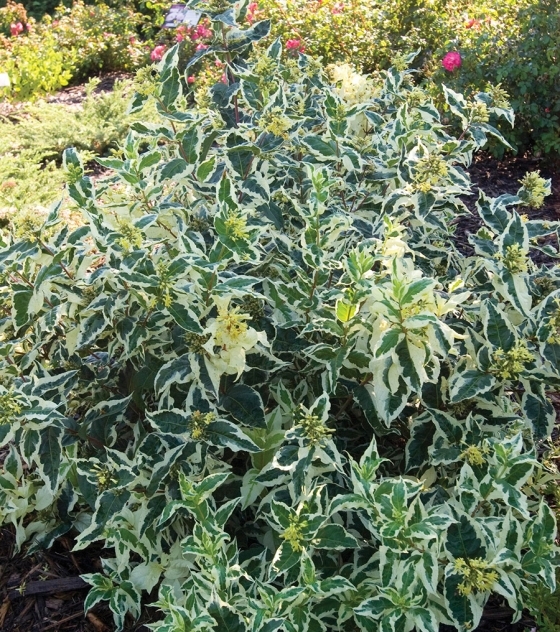 The first variegated diervilla and its bright white stands out dramatically even in shady borders. 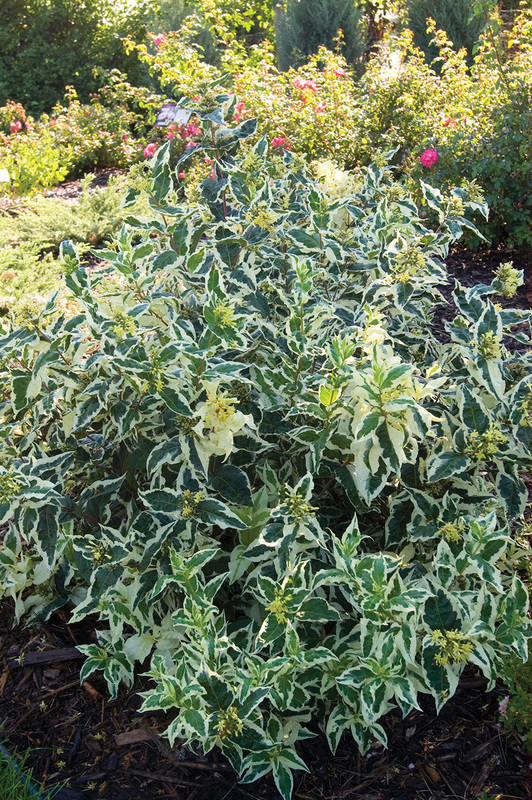 The cool foliage stays bright and clean right up until the first frost. Bunches of yellow blossoms adorn the plant in June and July. SKU: 31290302. Categories: First Editions, Shrubs. Tags: Bush, Cool Splash, Diervilla, Dwarf, First Editions, Honeysuckle.